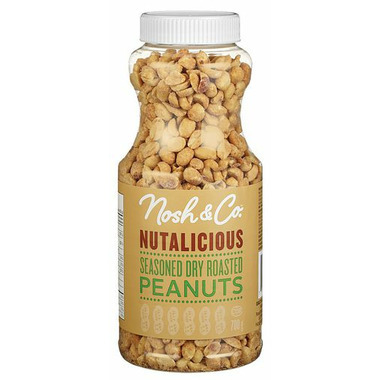 The Nosh & Co. Nutalicious Seasoned Dry Roasted Peanuts take your average snack peanut to the next level! Perfectly flavoured to satisfy any cravings! 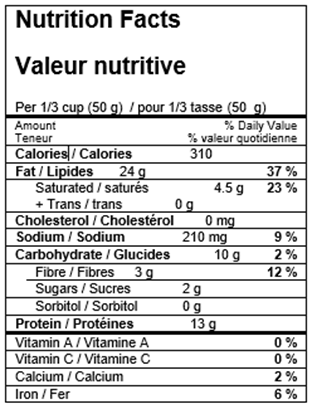 Ingredients: Peanuts, salt maltodextrin, modified potato starch, glucose solids, spice, onion powder, sunflower oil, disodium inosinate, disodium guanylate, sorbitol. May contain tree nuts. I cannot say I like the taste of these peanuts. Certainly would not order again. Not as much salt in the seasoning compared to 'salted peanuts'. Yummy.